The expansion of the Panama Canal is expected to have more of an impact on shippers, ports and freight corridors on the East and Gulf coasts than the West Coast, according to a newly released study by the US Department of Transportation’s Maritime Administration (MARAD). The study, which was released in late November, reports on shipping patterns and industry costs that could help the United States prepare for the anticipated impact on its ports, waterways and intermodal freight systems from the Panama Canal expansion. The expansion, scheduled for completion in 2015, will give much larger vessels, specifically “Post Panamax” vessels, greater access to the US ports on the East and Gulf coasts. The Panama Canal Expansion Study, the first of a two-part report, found the integration of Post-Panamax vessels into US trade lanes will have substantial implications for the nation’s shippers, ports and surface freight corridors, particularly along the East Coast, Gulf Coast and inland states located east of the Mississippi River. The report also found that more cost-effective service generated by the larger vessels could improve the ability of some US exports, such as grain, coal, petroleum products and liquefied natural gas, to compete in global markets. However, shifts in shipping patterns impacting the national transportation system are expected to occur slowly and over time. 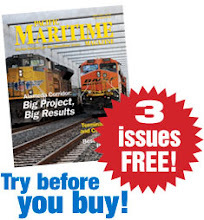 The full Panama Canal Expansion Study can be found at http://www.marad.dot.gov/library_landing_page/maritime_publications/Library_Publications.htm.